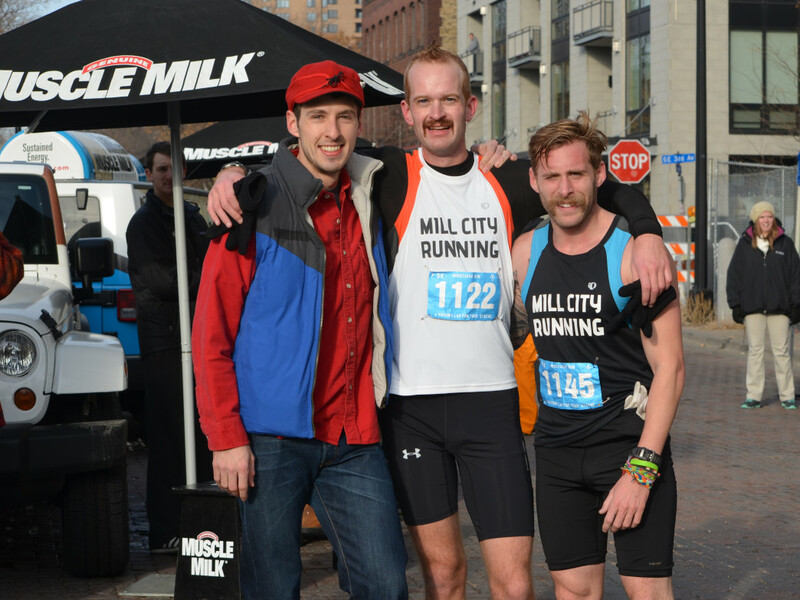 One could say the husband-and-wife team behind Mill City Running in Northeast Minneapolis was destined to open a running specialty shop. Indeed, Jeff and Bekah Metzdorff met slinging shoes while working at a running store in 2007, dreaming of someday owning their own. That dream became a reality when Mill City Running opened its doors for business on July 6, 2013 at 411 East Hennepin Avenue. In addition to their experience in running retail, both hold impressive competitive resumes. Jeff, who ran for Wadena-Deer Creek High School, was an All-American in the 10K at Hamline University and led the Pipers to a MIAC Cross Country title in 2005. Bekah (nee Yetzer), of Lakeville, started her collegiate track and cross country career at Colorado State University and finished out her eligibility and at the University of Minnesota, serving as a captain for the Gopher women. 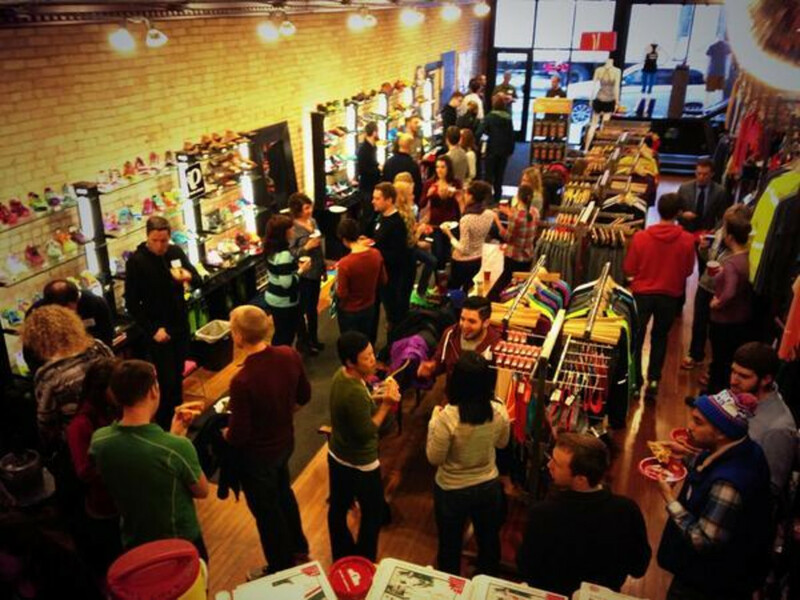 As the newest running specialty shop in the Twin Cities, Mill City Running has gained a reputation for already establishing deep roots in the local running community, welcoming runners of all levels. With a wide variety of footwear, apparel and accessories, there’s a little something for trail buffs, roadies and tracksters alike at the quaint Northeast shop. We tracked down Jeff to learn a bit about the inner workings of MCR and what exactly drives this little store to make such a big impact among local runners. 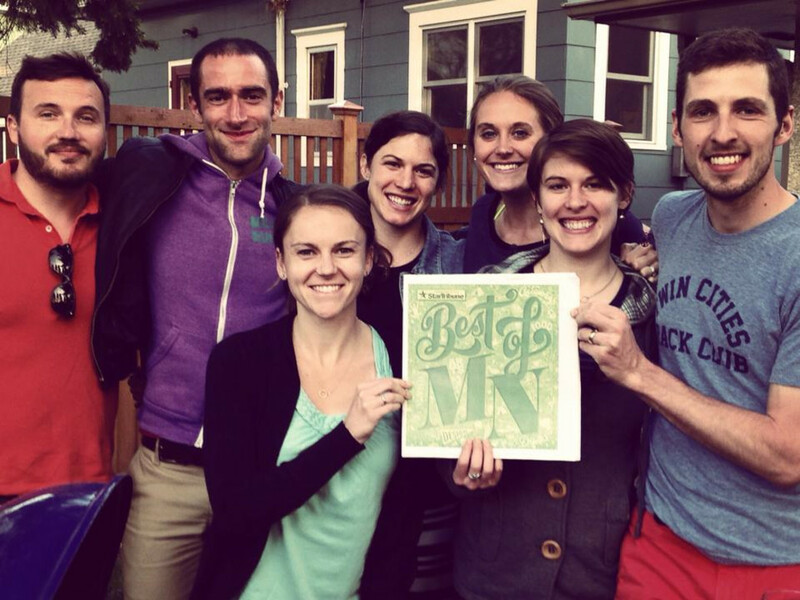 How did you decide Northeast Minneapolis would be the best location to open your shop? The Twin Cities are fortunate to be served by a strong collection of specialty stores, so we first sought an area with a significant buffer between any existing stores. After that, it was about identifying a location with a growing population and close proximity to uninterrupted running routes. Surprisingly, it still took us several months to identify the Northeast as a location that checked all the boxes. Once we had a general idea of the location, we went into overdrive to plant our flag there. The neighborhood has been everything we hoped for and more. When you do group runs each week, who usually attends? We like to say we’ve had everyone from Olympians to folks who’ve never run a mile continuously—it’s the truth, I swear. Our entire staff works hard to make sure everyone feels welcome because at the end of the day, a 12-minute mile is just as far as a 6-minute mile. We realize it takes a lot of courage to show up to a running store for a group runif you’re new to the sport, so we get especially excited when an individual who’s newer to the sport attends a run. We want them know there’s a place for them. Why is it important for Mill City to organize these kinds of community events to accompany your retail business? Our events are just an additional service we offer, no different than a shoe fitting or injury advice. Today, consumers have nearly unlimited options for where to bring their business and often times at a price that a local mom and pop can’t compete with. However, no matter how hard they might try, Amazon and Sports Authority will never provide a sense of community. This will definitely come off as corny, but our goal is to be more than just a retailer; we aspire to be a resource that assists and grows the running community. You were named “best running style house” by the Star Tribune. Who has the great fashion sense and how do you decide which brands and apparel to bring in? Here comes the cliché, but it’s a collective effort. Bekah and I have very different styles, but being married, we often have similar labels and pieces we like. Bringing in outside opinions to the conversation has proven to be very helpful. Our management, Heather Kampf and Mishka Vertin, do a great job of providing an alternative perspective in the buying and merchandising process. Without them, we’d be a store full of quarter-zip tops for men and capris for women. What inspired you to sponsor a race team starting in 2014? The success of the Race Team was a bit of a surprise and definitely not a part of our business plan. Initially the idea of putting together a competitive race team didn’t appeal to us. However, after quite a bit of cajoling from our friends and customers, we thought, what’s the worst that could happen? In 2014, we had nearly 130 men and women sign up, which exceeded our expectations by approximately 100. A big part of the team’s success can be attributed to its inclusive nature—we have no time standards or performance bonuses. We really just want to give people a reason to get together, run some races, and feel a part of something.